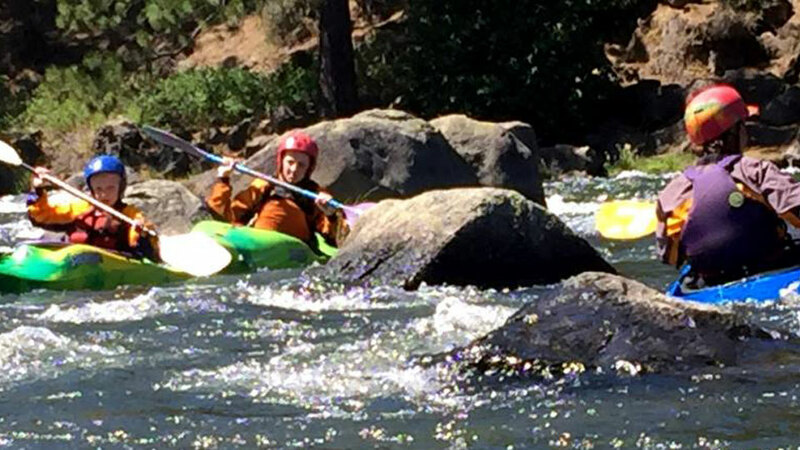 Bend Kayak School offers 2-hour kayak rentals and stand-up paddleboard rentals with delivery to the river in Bend! For classes, we offer low student to teacher ratios and, with the number of lakes and rivers in the area, there are plenty of places to explore once you feel confident. From SUP yoga to paddle meet-ups, we host events, too, and we have some fun packages that combine your clinic with other local experiences. Book online and choose your rental delivery time, sign your online waivers and just show up. No waiting in line and no shuttle needed. We drop your rentals off below the areas where the tubers meet so that you have a better paddling experience. After you paddle, walk over to dinner and brews downtown! To arrange rentals, online bookings are available and will save you a few bucks over walk-in rentals. Prices start at $45 per day for kayaks and we offer discounts for multiple days and the opportunity to keep your one-day rental overnight and return it the next morning. Rental packages come with everything you need, from the watercraft and paddles themselves to life vests, car straps and foam if you need them and even pumps to blow up your inflatable paddle board, which means you can transport a paddle board in virtually any vehicle.